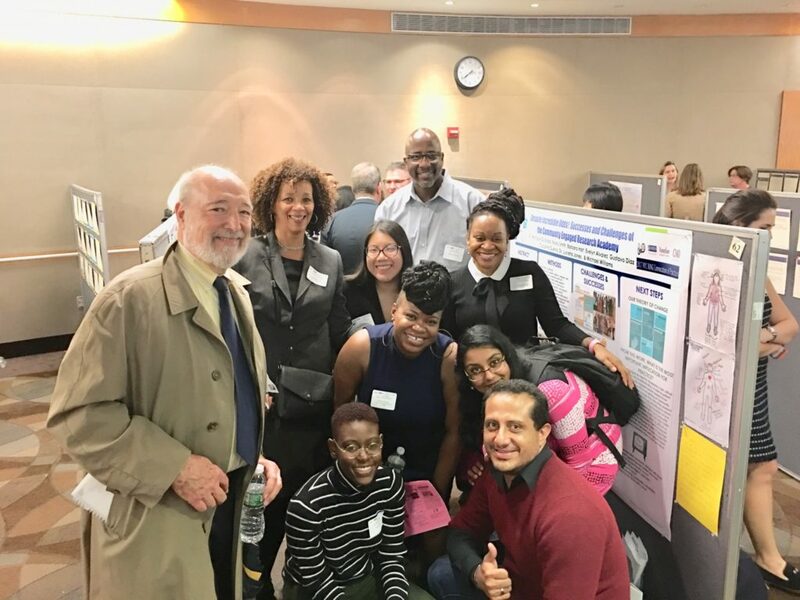 This October, Albert Einstein College of Medicine hosted its 11th New York City Research Improvement and Networking Group Convocation at Montefiore Hospital. This convocation features over 100 NYC RING clinicians, researchers, and investigators from all over New York City that gather to showcase quality-improvement in health care. The BxCRRB was selected to present amongst 62 other groups this year for NYC RING’s annual poster session. 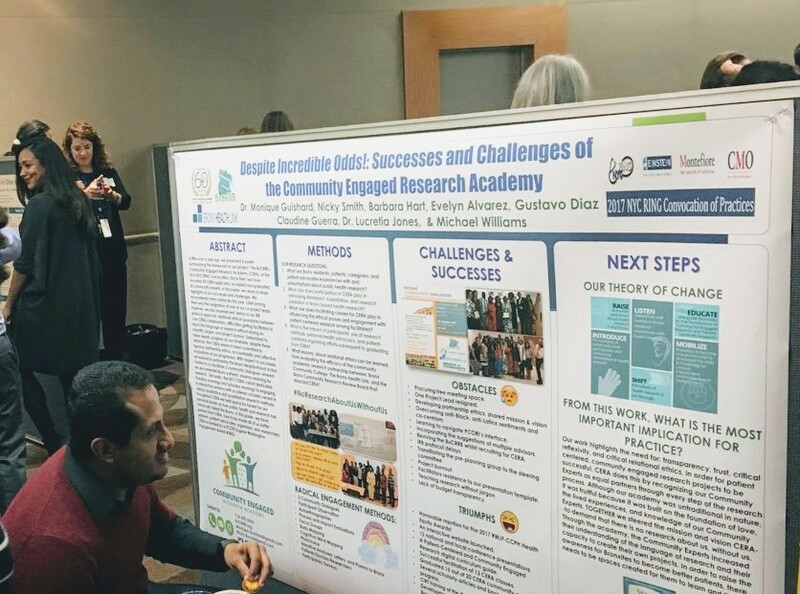 The poster titled, Despite Incredible Odds: Successes and Challenges of the BxCRRB’s Community Engaged Research Academy, centered the importance of trust, transparency, and critical relational ethics in the work of patient-centered & community-engaged research. Participants who graduated from the BxCRRB’s Community Engaged Research Academy joined the presentation to share their testimonies and experiences from being in this Bronx-based research academy. This marks the second time the BxCRRB has been selected to present at the NYC RING Convocation.